Print your customer's promotional material for the 2019 Local Elections. 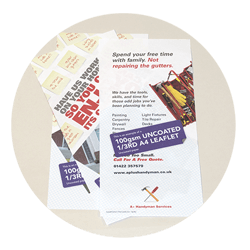 The Local Elections on the 2nd of May gives every print, design and marketing business in the UK a fantastic chance to win design and print orders to boost sales. At least three candidates will stand in each election area each needing printed materials to spread their campaign messages and gather support in their local constituency over the next few months. 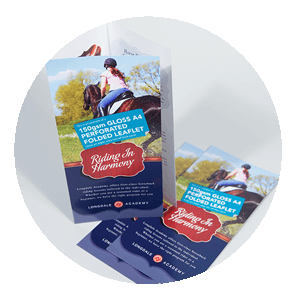 Political parties need print quickly from a printer they can rely on. 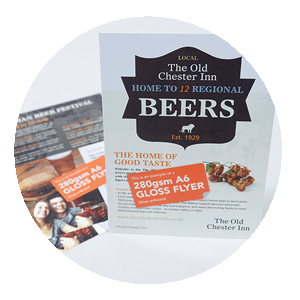 Many Marqetspace printed items are available next day for when your customer requires collateral urgently. The law does not require a precise format but specifies that any printed material published for the political sphere should contain the following information. Read the Electoral Commission guidelines on what must be included on all campaign material. Prices above are for Saver service turnaround (faster turnarounds are available) and do not include delivery or VAT where applicable. Our Swatch Book contains every weight and finish from our massive core range of lithographic products. When you need to determine which stock suits your needs, they’re all there at your fingertips.